It was November of 1978, and, while an undergraduate at the University of Notre Dame, I had the opportunity to attend an interesting lecture entitled "Avoiding the Hazards of Terminal Adulthood" given by Dr. Timothy Leary. Delivered from the stage of Washington Hall replete with the music of Pink Floyd and the assistance of his grandson, nephew, or some other young relative, Dr. Leary made his presentation. A day or so later, while waiting for my flight home at the South Bend airport for Thanksgiving, I encountered Dr. Leary, also on his way out of town. Not able to resist, I greeted the celebrity, shaking his hand, and exclaiming, "The Moody Blues were wrong; you're not dead!" Dr. Leary responded, "Nice suit." Ah, yes, innocence and experience . . . .
Of course, and rightfully so, Dr. Leary had more time for others. For our present purposes, this would be John Lennon and the Beatles. 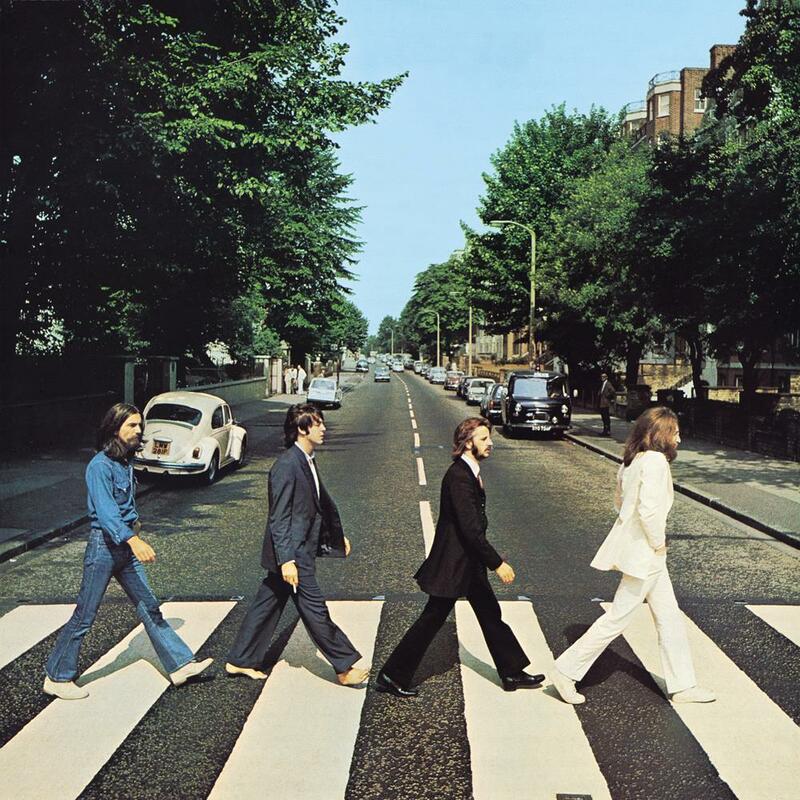 Abbey Road might just be the album in which the dialectic of innocence and experience reaches as tentative a synthesis as can be achieved in space and time. And what a synthesis it is. To use the cliche, John, Paul, George, and Ringo were certainly at "full steam ahead!" With the support of George Martin, the Fab Four produced an album that showcases their songwriting abilities and the consummate collective effort that would result. In "Come Together" and "Something," McCartney delivers masterful bass lines in support. In "Octopus's Garden," there's Lennon with his apt backing vocals. In "Because," we encounter a great unity of voices. Yes, a supposed earlier California Gubernatorial campaign of Dr. Leary led to the title "Come Together." But, for me, images of a dying Brian Epstein fill this song complete with not-so-veiled references to the great ocean of human sexuality. Then, there's "You Never Give Me Your Money." Perhaps, this is a bit of a stretch, but Paul's reference to "funny paper" makes me think of once and future financial crises. "I Want You (She's So Heavy)" is the instrumental showcase of the album, partially indicating a future direction for the band. Fittingly, Harrison's "Here Comes the Sun" follows the lugubrious conclusion to "I Want You." Around 1974, one of my best friends pressed me about, in his view Keith Emerson's excessive use of synthesizers, saying, "The Beatles didn't need them." I replied, "listen to Abbey Road once again." It, synthesis, is all here. It is only right that we focus, finally, on "The End." Just how aware were the Four Lads from Liverpool that Abbey Road would be just that for them? We can only speculate. However, I do know that, as pointed out by others, Harrison, McCartney, and Lennon traded "licks" in the song's guitar solo and Ringo gave us a rare drum solo. And, then, there's the ostensibly obvious, yet truly ethical statement, "And, in the end, the love you take is equal to the love you make . . . ." Once we journey through "the nuts and bolts of life," we come to recognize that synthesis can only emerge through endurance. Abbey Road leaves many of the false answers of desire behind, achieving rare singularity. Yes, Dr. Leary, adulthood need not be terminal.